Seattle’s Russell Wilson is on a career-best fantasy pace, thanks to six top-five fantasy quarterback finishes in his past eight games. 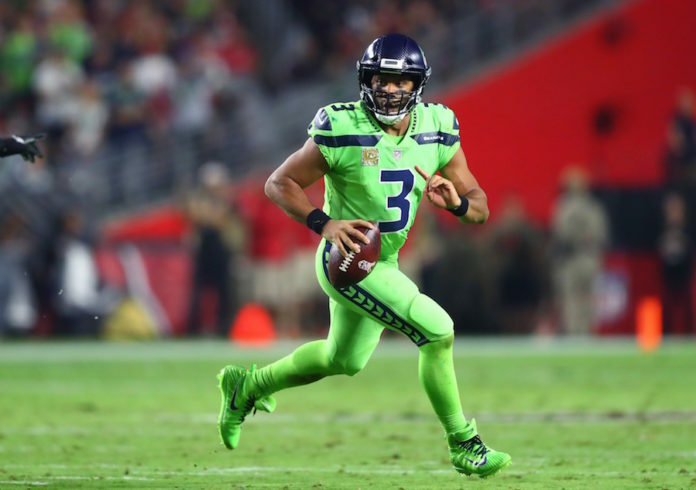 Facing a San Francisco defense that has allowed the sixth-most fantasy points to the quarterback position, Wilson is positioned for another top-shelf effort – he’s the top fantasy quarterback play for Week 12. After a historic seven-game (100-plus yards in each game) run to open his NFL career, KC rookie Kareem Hunt has faltered in his past three games (68.7 yards per game, 0 TDs). 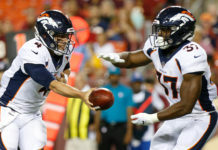 But Hunt has the ideal rebound matchup this week against a Buffalo defense that has allowed 77 percent more fantasy points per game to the running back position than the league average over the past 5 weeks. Hunt sits atop the Week 12 running back rankings. Pittsburgh’s Antonio Brown exploded for 144 yards and three touchdowns in Week 11, the 18th time since 2013 that Brown has eclipsed 20 fantasy points, most by a non-quarterback in that span. 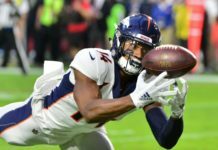 Facing a Green Bay defense that has allowed the eighth-most fantasy points to the wide receiver position, Brown is once again the top fantasy wide receiver play. New England’s Rob Gronkowski faces a Miami defense that he’s scored a touchdown against in three of his past four meetings. The Dolphins have allowed four tight end touchdowns in the past five weeks, tied for the most in the NFL in that span. Gronk is a good bet to score yet again against his division rival, and he’s the top-ranked tight end play for Week 12. The Baltimore Ravens defense is starting to get its groove on, having shutout two of its past three opponents. 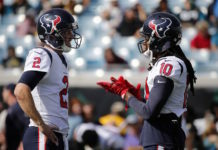 This week, the Ravens will host Houston, and Texans quarterback Tom Savage, who has turned the pigskin over seven times in his past three starts. The emerging Ravens are the top fantasy defense play for Week 12.